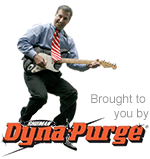 Check out our webinars for the latest innovations and information sponsored by Dyna-Purge! As most processors know, scrap rates can make or break the profitability on any given job. Fortunately, scrap rates are largely under the control of the processor, which means scrap rates can be dramatically reduced. Some of the fixes are quick temporary fixes, others are long-term fixes that involve changing the way the processor approaches every new job. Both fixes should be available in your “toolbox” when the need arises. At the end of the Webinar you should have a basic framework for how to approach your scrap rates and how to set up systems that assure minimal scrap rates in the future. 3D printing is not only about the machines that produce parts and prototypes, but also the materials used to create objects. John Schneider from 3Dom USA will walk through the different materials available today, focusing on those used in FDM-style 3D printers such as the desktop sized MakerBot Replicator 3D printer. John will briefly touch on the pros and cons of different photopolymers used in SLA & MJP 3D printing processes, as well as the polymers and metals used in SLS printing processes. A brief overview on 3D printing (known as Additive Manufacturing) will also be given. We asked our customers, “What are the biggest challenges confronting your business today?” The majority of responses led to our announcing a four-part webinar series, “From the Boardroom to the Shop Floor: Answers to your top questions.” We assembled the best speakers in their respective categories and welcome you to view these webinars. What to do when experiencing color streaking, degradation and contamination. Nancy Mitchell, Technical Product Manager at Dyna-Purge®, wants you to stop purging and start planning. Nancy will share with you what the most common problems are for molders when purging and how proper planning is the key to success.